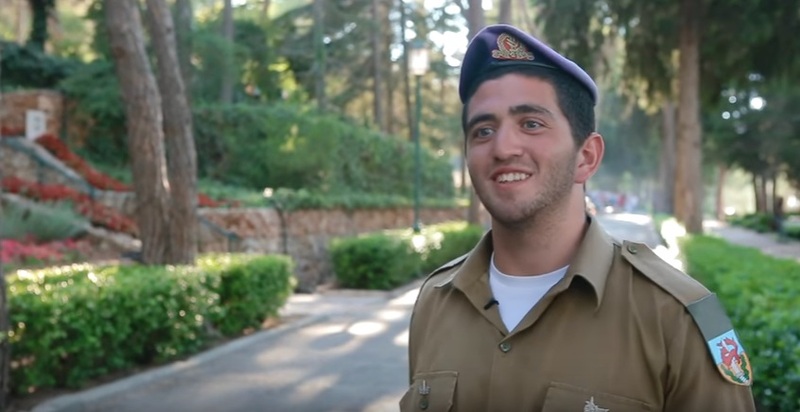 I am a soldier in the IDF, Paratroopers 890 who participated on Birthright Israel: Mayanot bus 517. I want to share my thoughts and feelings on this incredible and life changing trip! I now call Birthright a lifesaver for the 'soul', especially for the Jews in the diaspora. I feel as though it is their last chance before the grind and routine of day-to-day life takes over. It was a life changer for me; it opened my eyes and heart to what Jews in America are really going though. As a combat soldier, I was taught not to show much emotion, but on this trip the tears just kept coming. On the first Shabbat, we sat in a room in the hotel with Yoni, our fantastic tour guide. 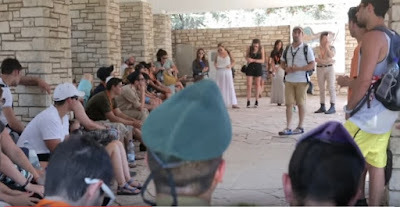 We went around in a circle and each person talked about the reason they decided to come on Birthright Israel. I couldn’t believe my ears, as I heard each individual person sharing their reasons for coming on the trip. It was so clear to me, they were all trying to find their Jewish identities, what it meant for them to be Jewish and their connection to the Land of Israel. They traveled halfway around the world and this was the beginning of their very powerful journey. On Masada, when Liebel, our trip Rabbi, conducted Bar & Bat mitzvahs for some of the people on our trip, everyone got up and spoke about why they decided to do it and I just couldn’t stop the tears. While I was listening to their heartfelt speeches of why they wanted to have a bar or bat mitzvah on this trip and how they had never received one or even knew what it was, their connection was palpable and the opportunity to experience this with them, just literally, brought me to tears. Har Herzl was another extraordinarily special experience with the group. An Israeli war veteran told the stories of his experience in the war, fighting for Israel and the safety of its citizens, which is always difficult for me to hear & experience with a veteran. It was so moving, what a privilege to hear. I hope I am expressing how much I feel the trip affected me and that I honestly think I might have gotten even more out of it then the participants. The trip was even better than I could have imagined. 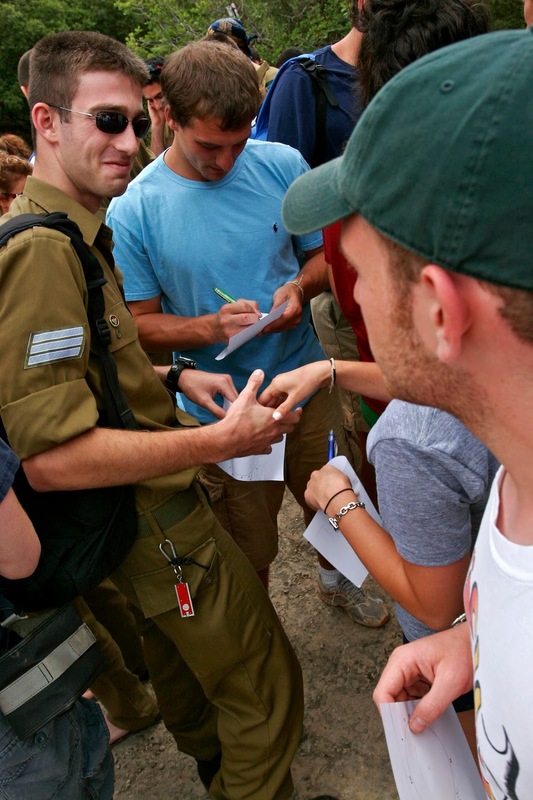 The participants were constantly asking me questions about Israel, Judaism and the army. They challenged me in so many ways. All of the things I took for granted as a child, my family & my Jewish education, this trip made me appreciate it all so much more. I really liked the balance of Judaism & Israel that the trip provided us with. It covered it all I don’t think there was one person who didn’t feel connected to Israel after the program. I got so much from this phenomenal journey, it made me really want to get involved in an even greater way then I am now. This trip has given me so many ideas of how to reach out to Jews in the diaspora, in a way that they don’t need to wait until their mid-20’s to feel connected to Israel & Judaism. I would also like to say thank you to the staff, they really were incredible. I know what it's like to be responsible for people and their well-being and it's not an easy task. The staff were very professional, always available, and overall interesting, good people. Birthright has given me so much spiritually, and made me feel so much pride in being Jewish and being a combat soldier in the IDF. I formed bonds with people which I hope will last a lifetime. It gave me such fulfillment when some of the men and women on the trip came up to me and told me I inspired them, but the truth is that they were the ones who inspired me. Most of them used their vacation days to come to a foreign country not knowing anyone, not such an easy thing to do. They came on this journey with an open mind and gained so much knowledge, a new found love of Israel, and pride in our heritage. What I gained from this trip, are the friendships I made and the feeling of empowerment I know have, to share my experiences and stories from my time in the army with others. I had no idea how impactful these things were to young American Jews looking for connection and wanting to know about our lives here in Israel. I truly understand the importance of bringing Jews to Israel now, to teach them about Israel and connecting them to the land of our forefathers. This was a priceless experience that has changed my life, thank you for allowing me to be a part of it!